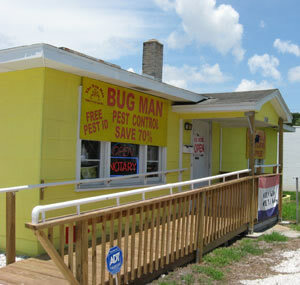 THE BUG MAN TERMITE AND PEST CONTROL and U - DO - IT PEST CONTROL SUPPLIES of Gulfport, Florida was originally started in 1978 by Rick McChesney. In 2008, we celebrated 30 years of service commitment and customer satisfaction. We are still a family-owned business, and our desire to help provide our customers with a pest-free environment is as strong as ever. At The Bug Man, we provide complete and safe professional termite and pest control services. Our pest control services are tailored for our customers' needs and protection. We provide pest control services for commercial and residential customers throughout all of southern Pinellas County. We are specialists in the control of termites, carpenter ants, bees, wasps, hornets, fleas, ticks, roaches and more. At The Bug Man we use safe, odorless, hypoallergenic products for our customers' safety, and for the safety of the environment. 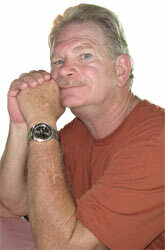 Rick McChesney, the owner of The Bug Man, has over 35 years experience in termite and pest control. He is constantly updating his education and keeping current with the latest industry standards. He attends yearly classes held by manufacturers and pest control suppliers, as well as classes at the University of Florida. He is an active member of the Florida Pest Management Association and the National Pest Management Association. Rick is certified by the Florida Department of Agriculture. He received his operator's license in 1976, after passing Florida state exams in termite control, general household pest and rodent control and fumigation. The Bug Man is fully licensed and insured, and all of our products are registered with the EPA and the State of Florida.